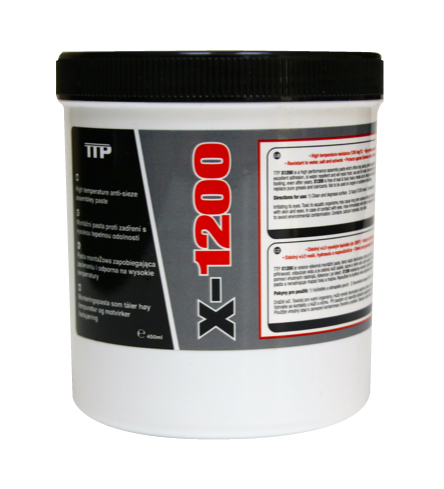 TTP DURA-SLIP is a premium specification PTFE lubricant spray manufactured using quality oil and an optimum concentration of PTFE (Poly Tetra Fluoro Ethylene) grains. 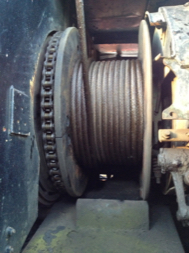 Because it has been designed to perform in the most arduous of applications it is used by professionals. 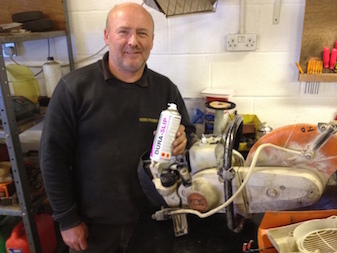 A lubricant spray with teflon dries quickly therefore it stays where it is applied. In addition it repels dirt, dust and water. It also resists oils, greases and many chemicals. PTFE dry lubricants utilise low molecular PTFE (TEFLON). 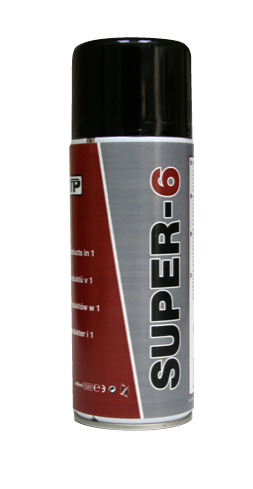 As a result it facilitates surface adhesion and greatly reduces coefficient of friction. It adheres well to metal and plastic. Because of its ability to withstand high temperature it is ideal for lubrication of moving parts connected to motors. 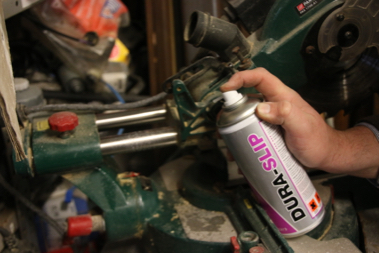 DURA-SLIP dry film lubricant is considered by many to be the best chain lubricant for bicycles or motorbikes. 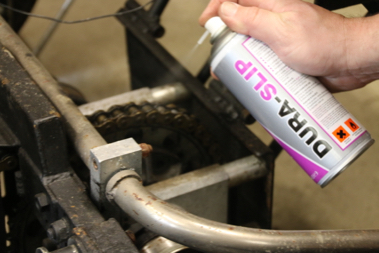 In fact any metal application where smooth repeated movement under high pressure requires lubrication then a PTFE dry lubricant spray is ideal. Wikipedia – What is PTFE?